Three months ago we first covered Hell Let Loose, a promising indie project by Australian team BLACK MATTER. Now, they have launched a Kickstarter campaign for crowdfunding with the minimum requirement set at AU$ 136,000 and given the strong start, it’s easy to believe that they’ll get it. As you might recall, Hell Let Loose is a combined arms first person shooter set in World War II. Read below for a thorough game overview from BLACK MATTER. 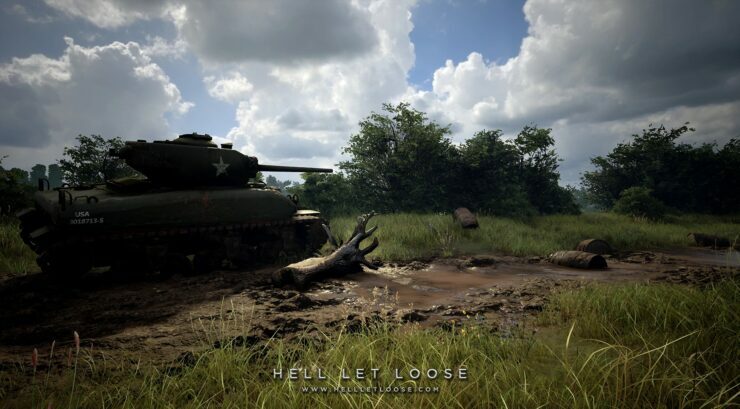 On paper, Hell Let Loose is a realistic multiplayer World War Two combined arms first person shooter of open battles of up to 100 players with infantry, tanks, artillery and a shifting front line. At its core is a unique resource-based strategic meta-game that is easy to learn, but hard to master. Built on Unreal Engine 4 for Windows and distributed via Steam. The development team also disclosed upfront the stretch goals and post-Kickstarter roadmap. USD $400,000: Russian Forces including 2 Eastern Front maps. USD $500,000: British Forces including 2 Operation Market Garden maps. USD $600,000: Canadian Forces including 2 Falaise Pocket maps. USD $700,000: Japanese Forces including 2 Pacific Theatre maps. Furthermore, Hell Let Loose will feature uncensored imagery in all appropriate territories. The studio also said the game will be priced at $29.99 when it debuts on Steam Early Access; they’re currently evaluating various anti-cheat solutions and they will enable full gore, including dismemberment, immolation and bullet hits. Of course, the Kickstarter campaign was also paired with a new gameplay video focused on infantry. You can check that out below.